The birthday flower for January is carnations. 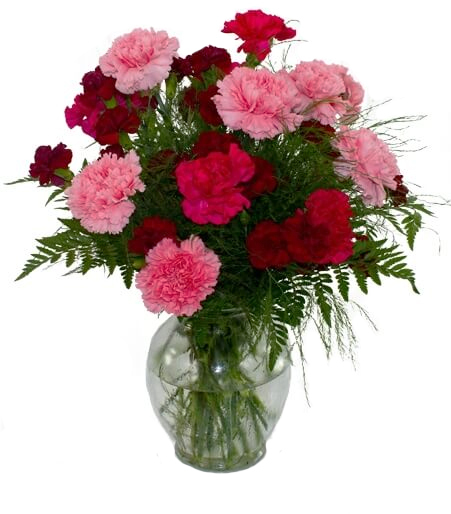 Carnations are appropriate for just about any occasion, weddings, birthdays, or even funerals. They are available in so many various colors like red, pink, purple, white, and yellow and are commonly recognized for their ruffled petals. The color of the carnation can change the meaning slightly but for the most part they symbolize love, pride, fascination, and beauty. When buying flowers for a woman or girl with a January birthday, carnations in reds, pinks, and whites are all very popular choices. 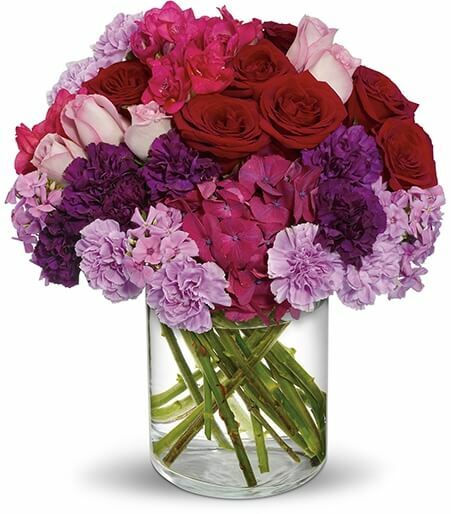 Here is a beautiful vase arrangement featuring those feminine colors of red and pinks. Maybe you’d prefer the beautiful carnation mixed with other stunning flowers like hydrangea and roses. 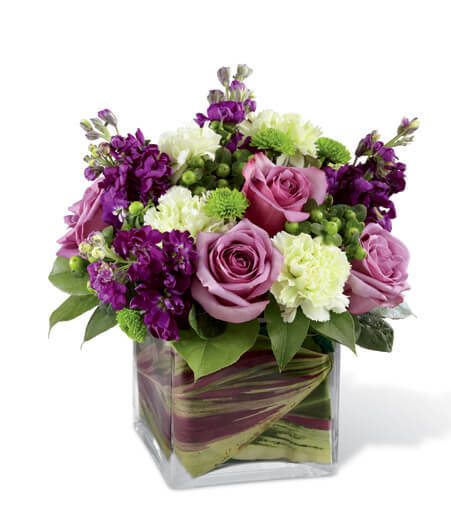 The Roman Holiday has a stunning array of lavender and dark purple carnations which adds a royal charming feel for the princess or queen in your life. Buying flowers for men with January Birthdays are much more difficult but luckily there are still so many great options. 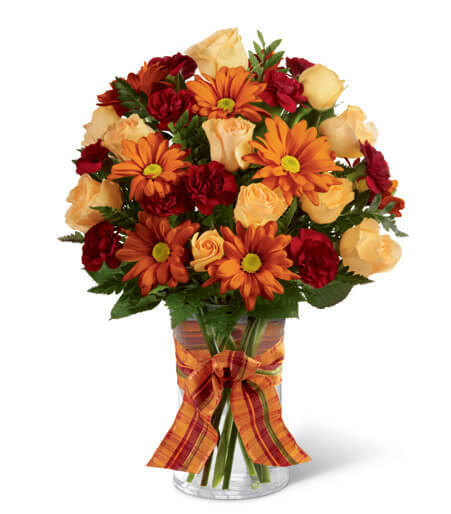 The Golden Autumn Bouquet is a stunning masculine mix of flowers with red carnations. They will express how loved the man or boy in your life is. 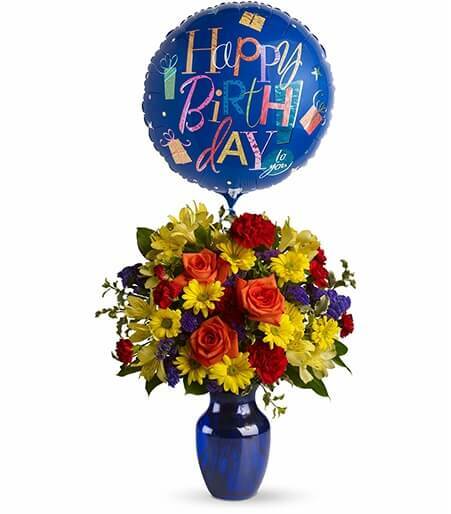 Here is another great mixed vase arrangement with red carnations option for men, especially with its blue vase and birthday balloon. Carnations are very popular and can be seen as old fashioned since they have been around dating over 2000 years ago. However there are many ways to keep them up to date and modern for the special someone with a January Birthday.